A letter written to Martha Berry to inform her of the death of Mrs. Thor of England. 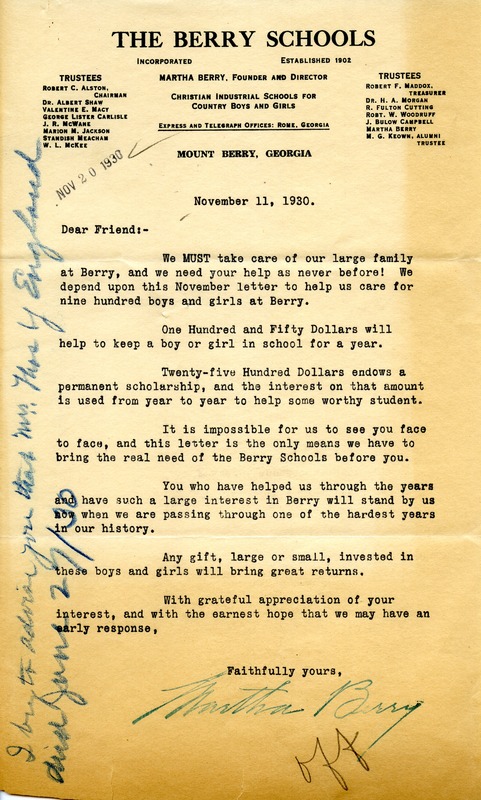 “Letter to Martha Berry from Estate of Mrs. Thor of England.” Martha Berry Digital Archive. Eds. Schlitz, Stephanie A., Daniel Warner, et al. Mount Berry: Berry College, 2013. accessed April 25, 2019, https://mbda.berry.edu/items/show/12484.